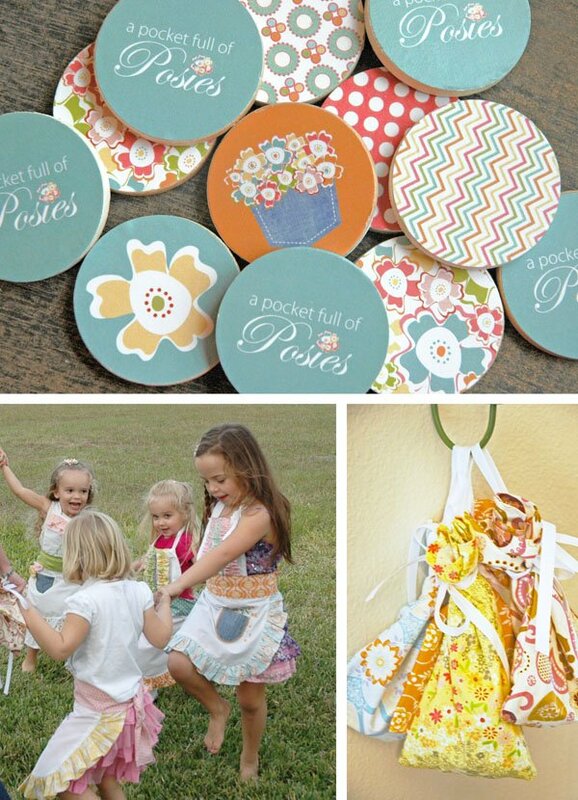 I’ve been wanting to share this “Pocket Full of Posies” birthday party for some time now. 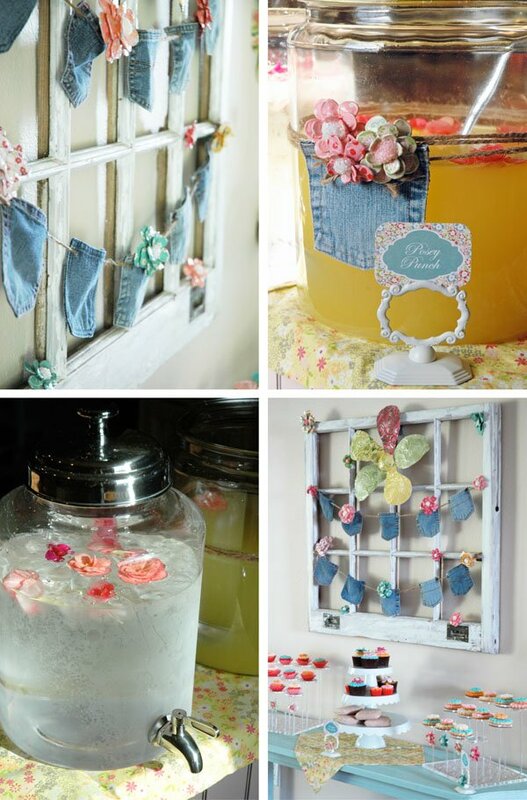 I’m hoping the charming little details will inspire you; like the denim pocket banners, the paper maché flowers and the handmade vintage-style aprons that went into making my daughter’s third birthday extra special. I knew I wanted a “vintage-meets-fresh” vibe with some denim thrown in there to keep the party a little more organic versus…”fluffy”? Although I kept the party itself relatively simple, there were two key elements that really made the day extra special and tied everything together beautifully; the homemade aprons and the paper maché flowers. The aprons I envisioned were brought to life by Made by Morgan. She did such an incredible job of catching my vision, listening to all of my specific requests and sweetly, magically, bringing everything to fruition. The gorgeous paper maché flowers you see throughout the party were created by Maisey’s Daiseys Little Shop. 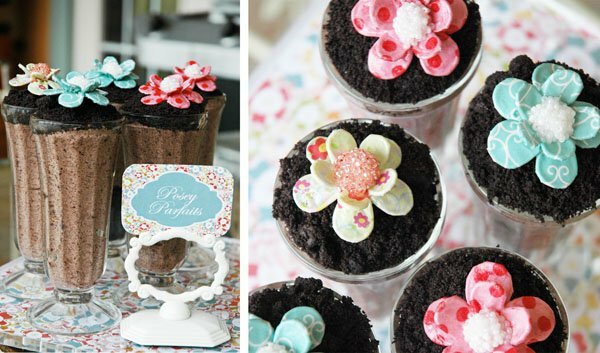 She does amazing work and I LOVED using them as cupcake toppers, accent pieces for the rods of The Pastry Pedestal™, birthday cake decor and incorporating them into the backdrop. I pay especially close attention to the unique little mannerisms that define my children while preparing/deciding on their birthday theme. Ella’s theme this year was chosen after noticing the genuine excitement she had as she either tucked in or pulled out small treasures from her pockets. 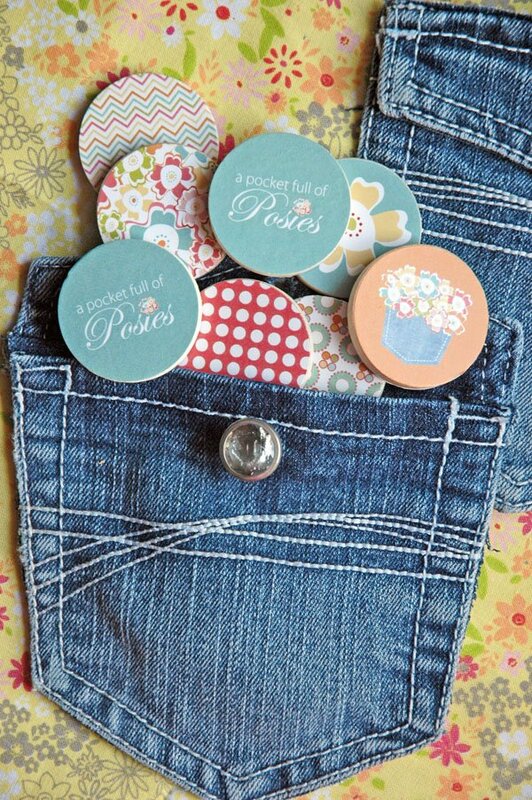 So although I knew pockets would somehow need to be incorporated into her party, it wasn’t until we were singing/participating in “Ring-Around-the-Rosie” together that the lightbulb went off: “A Pocket Full of Posies” Party!! Again, with only four little girls to feed, I chose to keep the menu simple and sweet. I made mini flower cupcakes (and a few regular sized cupcakes), flower sugar cookies, “Posey Parfaits” and some “Pocket Sandwiches” filled with peanut butter and jelly. (see the credits below for the neat little gadget that helped me make those). Drinks included a “Posey Punch” using a favorite slushy-type party punch recipe I’ve had for years and then I also offered a dispenser with cold water containing sliced citrus. 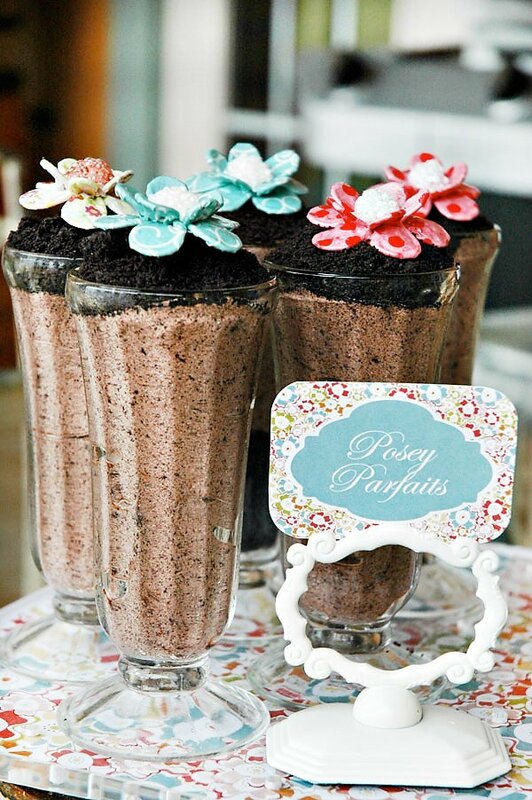 Both beverages had edible organic flowers floating in them for a splash of color as well as to tie in the party theme. The little girls were given a 12-piece “Pocket Full of Posies” matching game set. I created these by purchasing precut 1-inch round wooden circles from a local craft store. 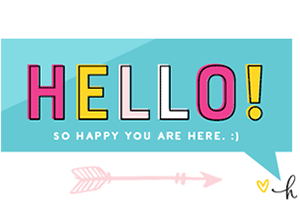 I designed coordinating paper printables that I punched out with a 1-inch circle cutter and then used Mod Podge to secure them to the wooden circles. 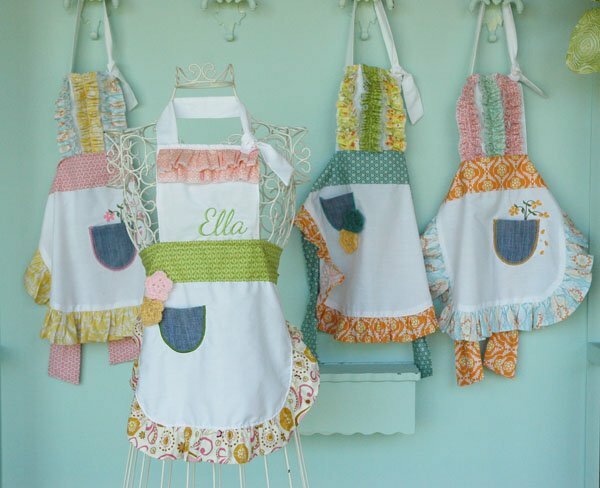 The game pieces were bundled up in handmade fabric bags created by Made By Morgan – which coordinating perfectly with the aprons they were given to wear when the arrived at the party. 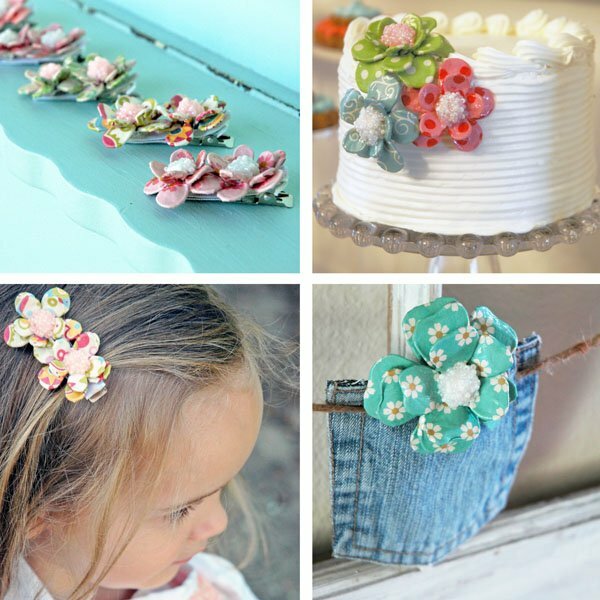 Along with being able to pick out an apron when they arrived at the party, the girls also picked out a handmade flower hair clip to wear – created by Maisey’s Daiseys Little Shop. What a lovely article. I love the creations and those models are absolutely adorable, too! 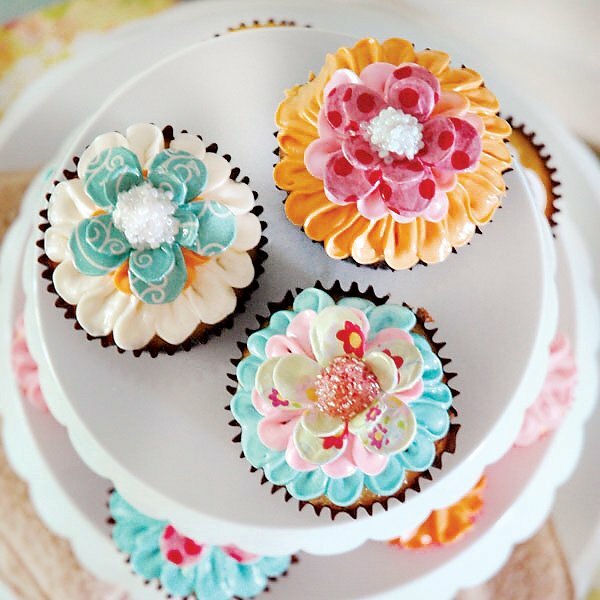 to incorporate them into my daughters baking party. 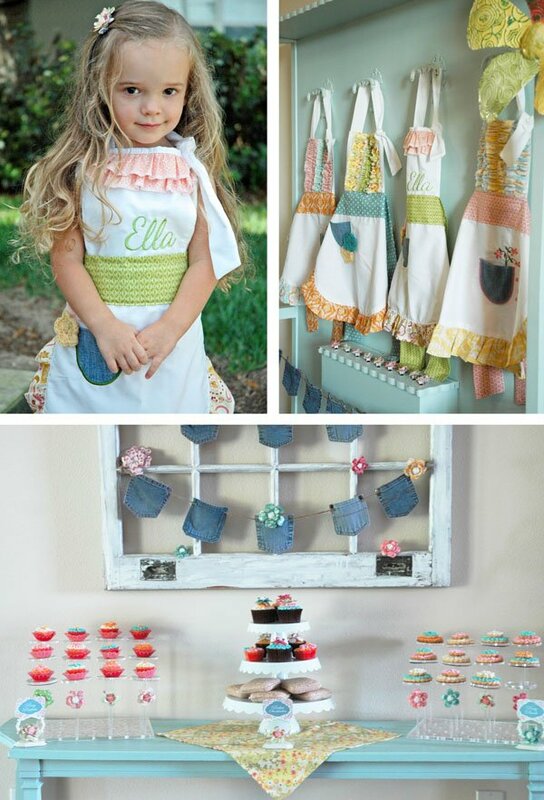 The aprons were created by Made by Morgan…see the link to her Etsy shoppe in the Vendor Credits section. She was SO fun to work with and really brought my vision to life. This is such a creative theme! 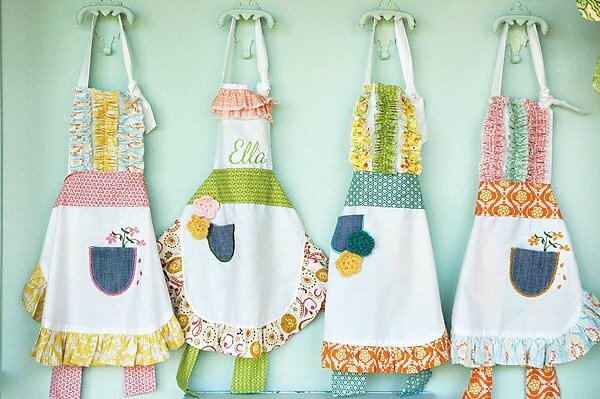 The aprons and flowers are sooooo beautiful! What a lucky lil’ girl! Renee…Thank you!!! The aprons from Made by Morgan and the paper maché flowers from Maisey’s Daisey’s Little Shop REALLY added the special details to the party!! 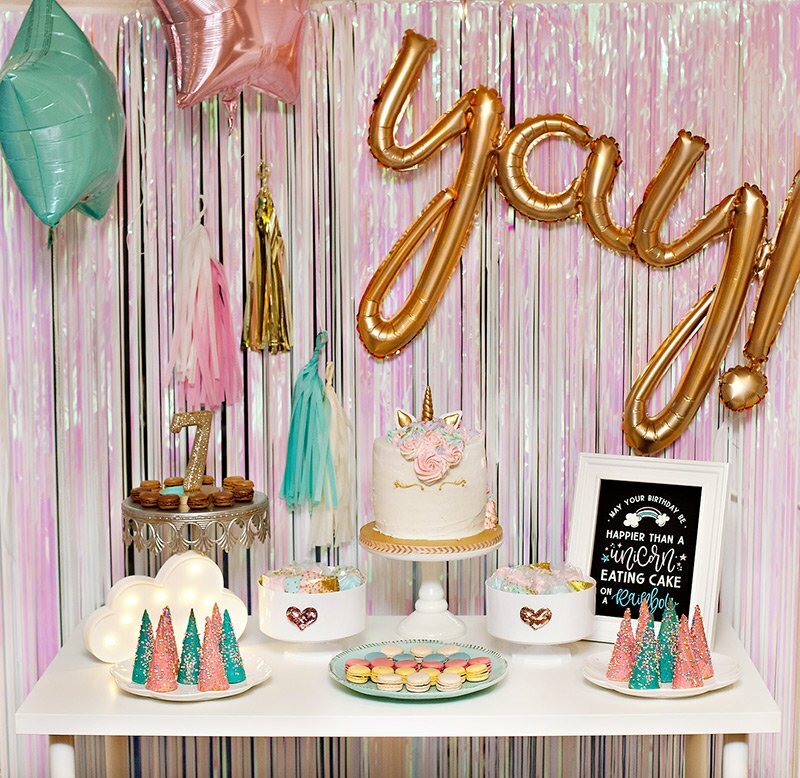 The cutest little girl party!! What a doll! Love this party. 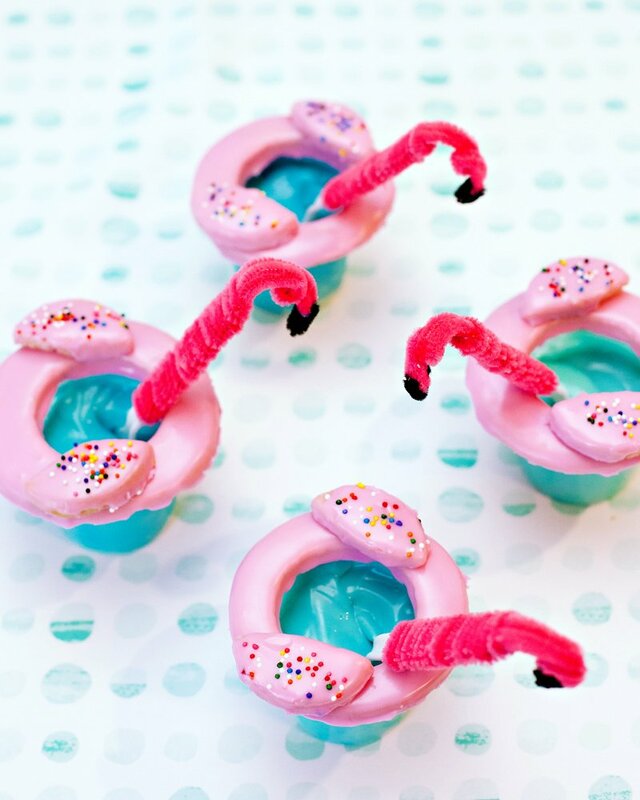 This is the cutest party ive seen! Now I need a granddaughter! 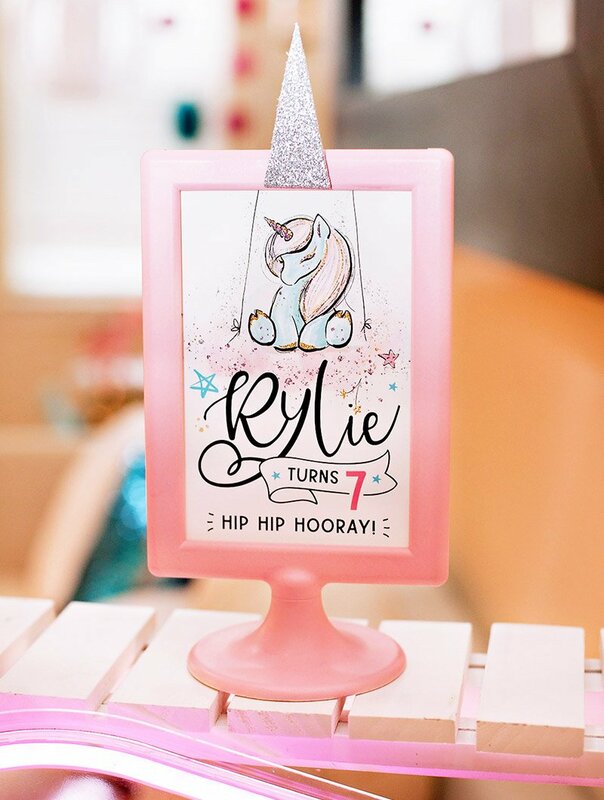 Thank you to everyone for the super sweet comments about Ella’s 3rd birthday party. I sincerely appreciate every single one of them!!! Absolutely precious! I always love Jessica’s parties. She infuses every detail with so much unique personality! 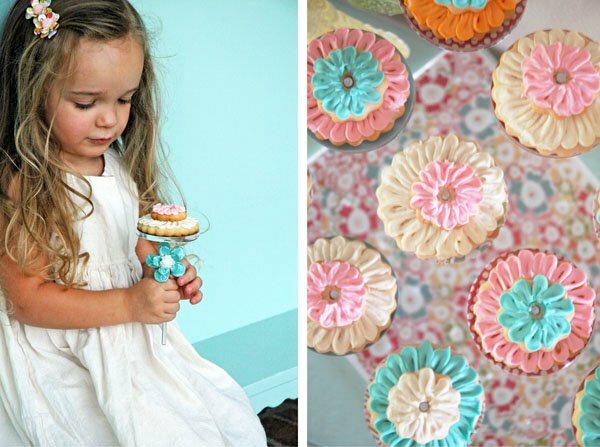 I love this idea, the aprons, the cupcakes, the drinks, the nailpolish, it all looks so wonderful! Gorgeous, beautiful adorable, I could go on and on. I love the theme it’s so original and the use of denim pockets everywhere is genius. Such a sweet party. 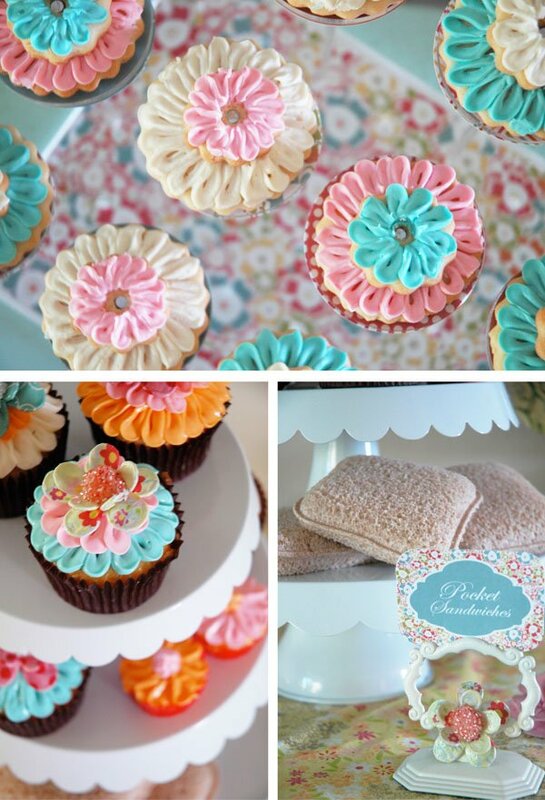 I love your use of the pastry pedestal, I have one too and use it all the time. Where did you buy the stand for the pedestals, or how did you make it, I’d love one for mine, that looks so much cleaner and more modern than the wrapped styrofoam I’ve been using. 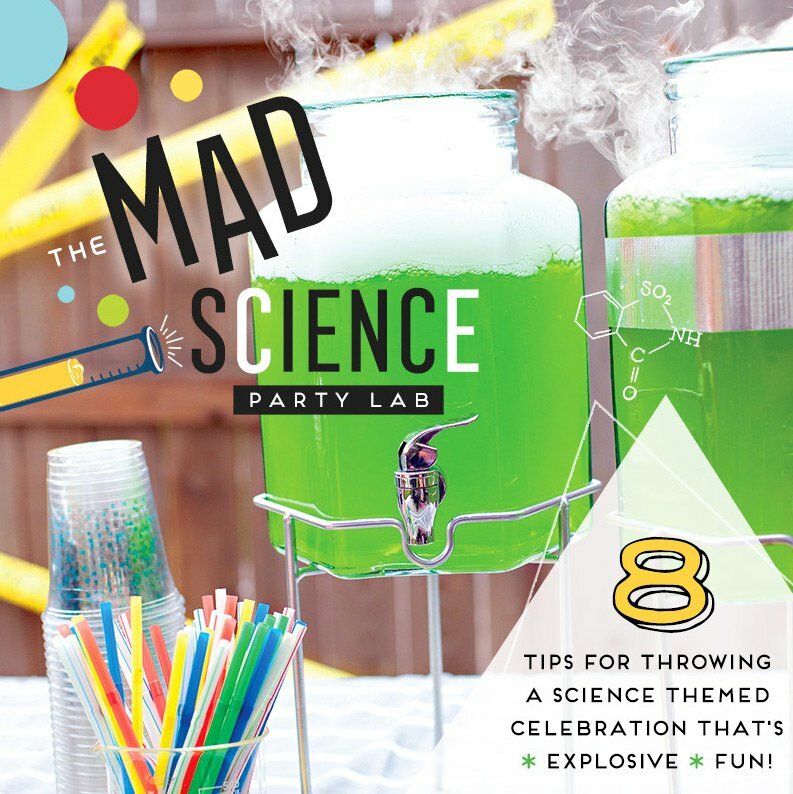 Beautiful party, such a fun idea! I love this Jessica! What a clever theme! 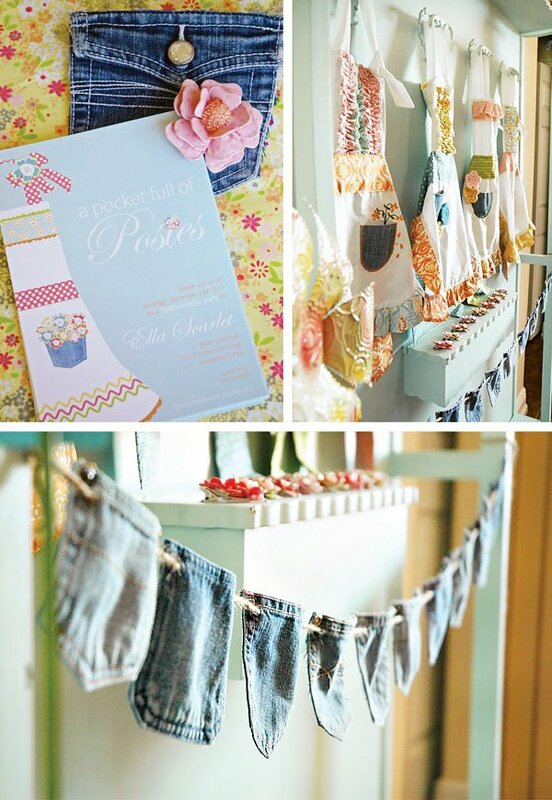 Absolutely adore how you used the denim pockets and those aprons are fabulous! Looks like the girls had a wonderful time! Happy Birthday to sweet Ella! 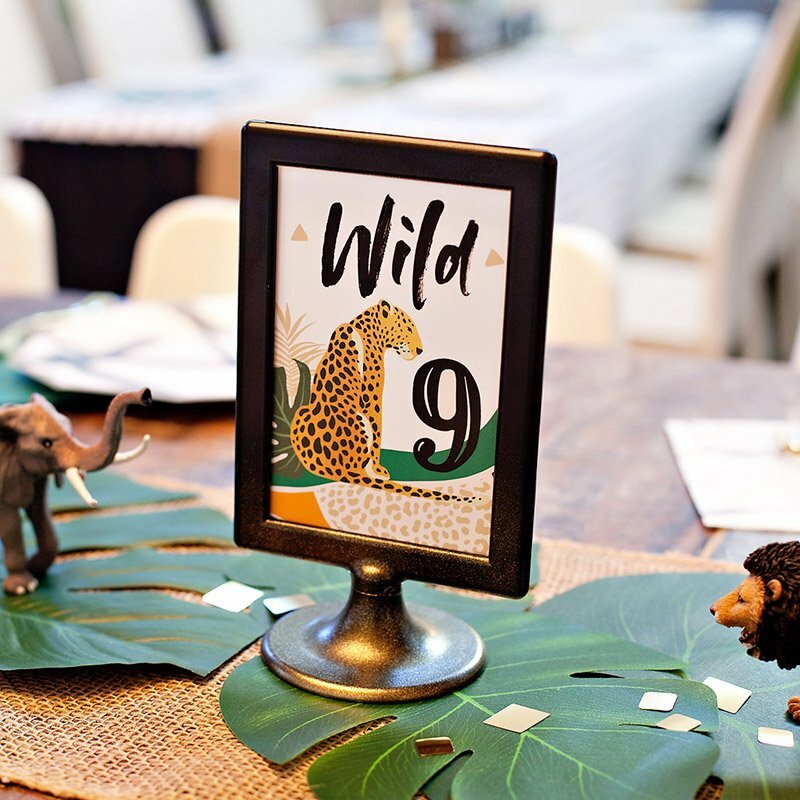 Jessica’s parties are always so thoughtful and creative! 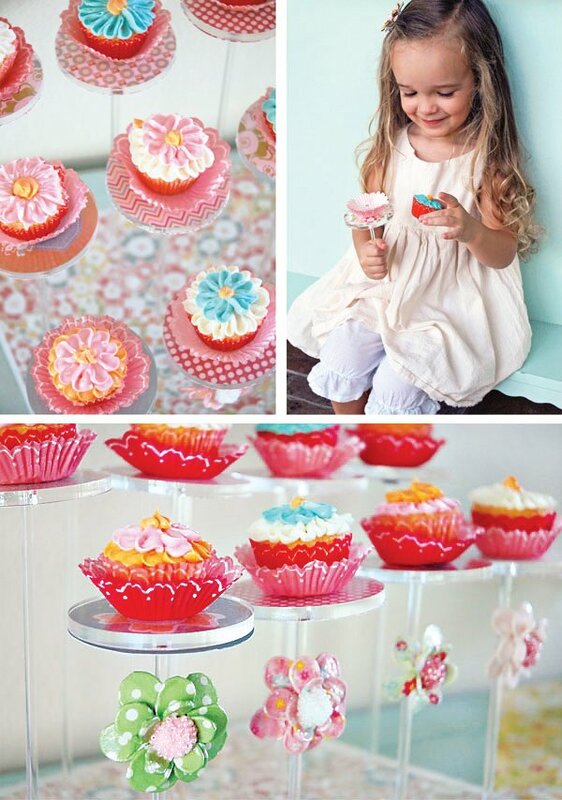 Just when I thought I couldn’t love a party more than the Strawberry & Lemonade party….she does it again! Just gorgeous! 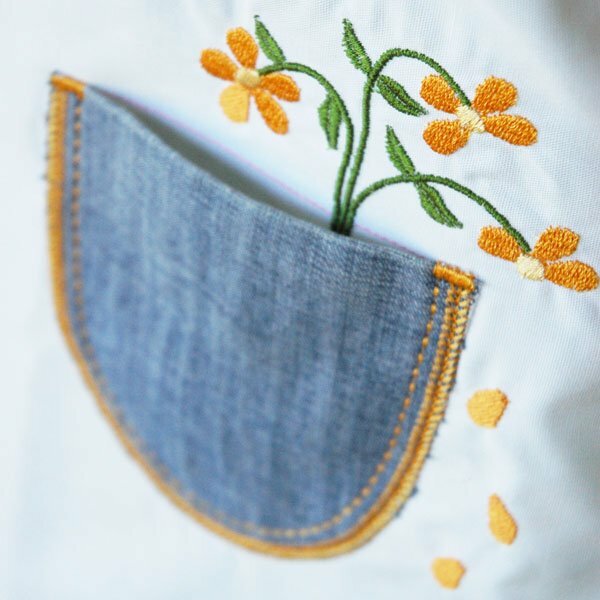 The details are so lovely…. Are those aprons for sell, or just for show? I would LOVE to get one for my daughter who will be 4 in a week.